(Newser) – Three daycare workers who allegedly gave toddlers melatonin-laced gummy bears to ensure smoother nap times are facing serious criminal charges. 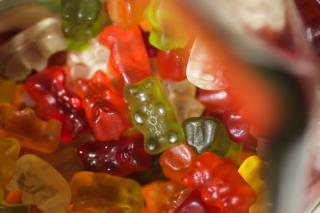 A police spokesman in Des Plaines, Ill., tells People that managers at the Kiddie Junction Daycare Center called authorities after discovering workers had been giving the gummy bears to 2-year-olds to "calm the kids down for nap time." Commander Chris Mierzwa says the teacher told police two of her colleagues had been doing the same thing, and it had been going on for more than a year. Kristen Lauletta, 32; Jessica Heyse, 19; and Ashley Helfenbein, 25, have been charged with two counts of child endangerment and two counts of battery each. Um, you can't be allergic to melatonin, but very heinous behavior indeed. What's wrong w/trying to get the children to be calm enough for a nap?? If it'll "help" and it's "easier", then why not "do" it??! !